Dermal fillers are used to restore volume minimize fine lines and wrinkles associated with ageing. It also can be used to highlight areas such as the cheeks and lips. Dermal fillers restore volume, minimise fine lines and wrinkles – everything associated with aging. 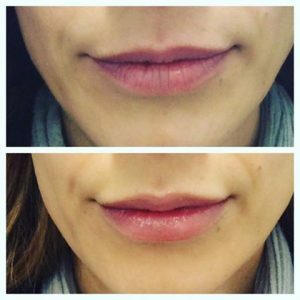 Areas such as cheeks and lips can be highlighted and improved with fillers too. Made from a naturally occurring sugar gel, dermal fillers enhance features, add volume and achieve a soft, fuller and more youthful appearance. Individual results may vary. Instant results. You will look refreshed straight away, and generally this will last between six to nine months, depending on the product and area treated. 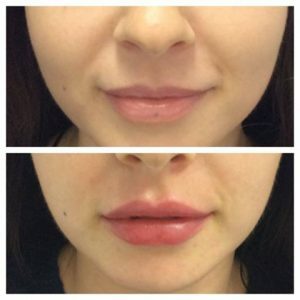 Fillers can also be used to treat lips, cheeks and scarring. At Aspire Medispa, only qualified and experienced nurses and medical physicians perform cosmetic injectable procedures including dermal fillers. This gives you peace of mind that you’re in safe, expert hands. Examples of our lip and cheek enhancement treatments, performed by our registered nurse at our Crows Nest clinic.